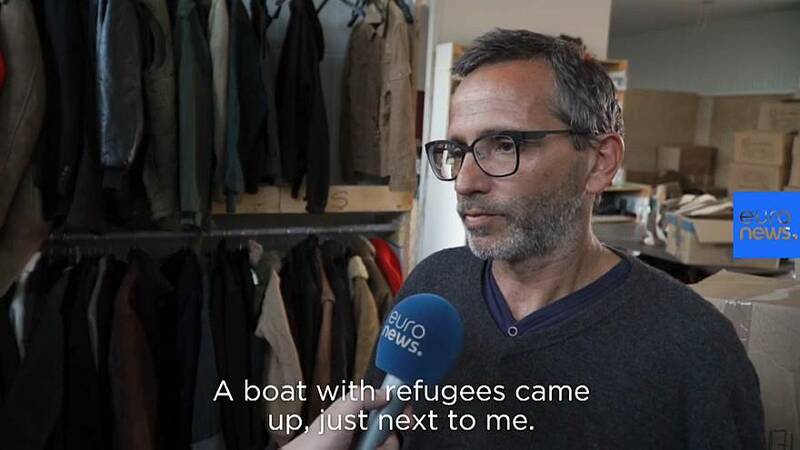 Aris Vlahopoulos was sitting on a beach one day, reading a book when a refugee boat came ashore nearby. "At that moment I had three choices," he recalls. "Get up and leave or disappear, take photos or help them." The choice the former shipping worker made, changed his life completely. Vlahopoulos went on to establish the NGO Attica Human support and now presides over a warehouse stocking almost every product imaginable, from clothes and toys to bikes, blankets and tools, donated from the length and breadth of Europe. His primary "customers" are at the infamous Moria refugee camp a short distance away on the island of Lesbos. They can call or send a Whatsapp message for anything they need and a daily delivery van is packed up and dispatched. But locals in financial difficulties can also take advantage of the free service. Some refugees refer to Vlahopoulos as Santa Claus but the presents he delivers are life savers, rather than stocking fillers.